Chances are your friends and family are going to stuff themselves silly with unfathomable calories between now and 2018. So why not balance the equation by giving them a gadget that can nudge them in a more healthful direction? Not all of the gear below is geared toward weight loss and exercise, but everything is designed for general health and wellness, and I have direct experience with every single product. 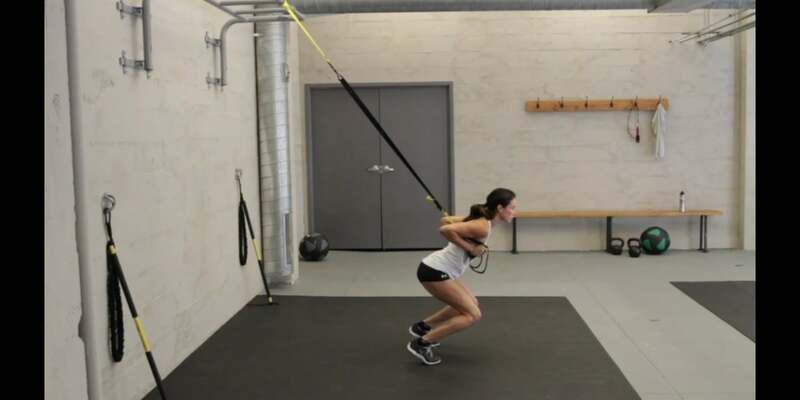 If you’ve spent time in a modern, forward-thinking gym, you may already be aware of TRX suspension training. The TRX system consists of two adjustable straps that hang from an anchor point on the ceiling. Simply grab the straps—usually with your hands, but sometimes with your feet—then use your bodyweight to perform an amazing array of exercises and stretch routines that hit every every muscle group. I use TRX in the gym, but also have one of the company’s home systems for stretches, push and pull sets, and even planks and pull-ups—all great warm-ups for dumbbell sets. The home system comes with a foam pad that anchors the straps to a door frame, but I bought the optional steel anchor point that bolts into ceiling lumber. It’s an extremely versatile (and challenging) workout tool. So what makes this high-tech? It’s the TRX mobile app, which includes a wide variety of targeted workout routines, complete with video demos that illustrate exactly how to do each exercise. The mobile app can also elegantly balance the audio volume from your phone’s music player with workout instructions from the app. The TRX app hooks into various heart rate monitor too, but Fitbit and Garmin devices aren’t supported. The TRX app includes clear video demos of each exercise. My one gripe: There’s no easily searchable video library. Instead, you have to choose a specific workout routine to see any video. 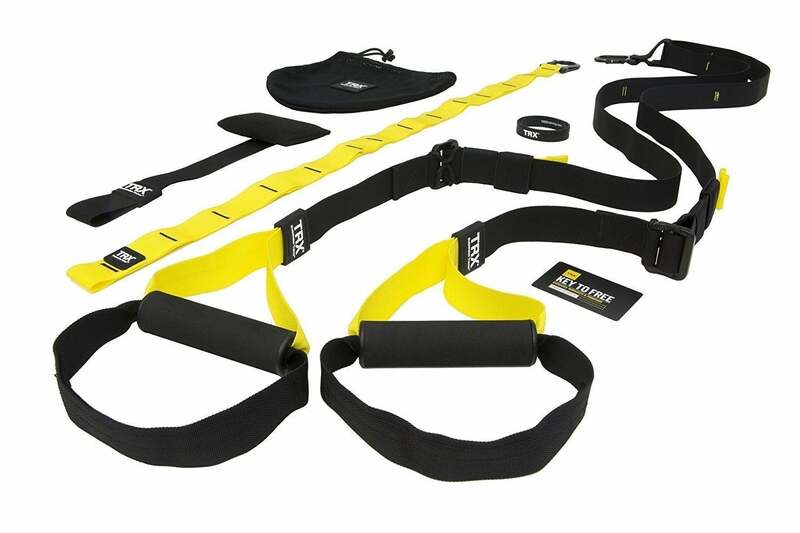 I’m recommending the original $129.95 TRX home system because it’s $40 cheaper than the new HOME2 system, which adds adjustable foot cradles (a benefit for some of the more contortionist exercises). On the plus side, both the original system and the second-gen version operate pretty much exactly like the pro version I have at the gym. Remember when “wearables” were a thing? 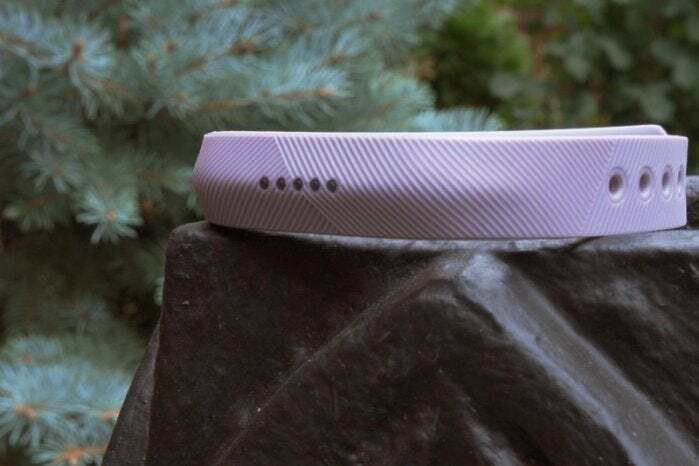 Yeah, most wearables are silly or pointless, but Fitbit’s activity trackers share interesting exercise and sleep data and benefit from years of iterative product development. And, yes, I still recommend Fitbit trackers despite the company’s gloomy prospects. But which Fitbit should you buy when the line-up is so varied? You can check out our guide to choosing the best Fitbit for you, but I’m going to jump right over that, and share thoughts on the two I’ve integrated into my life. The Fitbit Flex 2 is the most stripped-down, innocuous Fitbit in the line-up (especially if you buy black instead of the lavender color shown here). I’m a diehard analog watch wearer, so the Fitbit Flex 2 has become my daily driver. Slim, innocuous and lacking a digital display, the Flex 2 looks perfectly acceptable when it’s strapped beside a traditional wristwatch. It provides basic step counting and sleep tracking, and can track different types of exercises automatically. The Flex 2 isn’t rife with features, and you have to peer into the Fitbit app to see your data. But it’s only $59.95, and it won’t make you look like an idiot who wears two watches, side by side. On the other side of the Fitbit spectrum, I’ve been enjoying the Fitbit Ionic when I’m actually in the middle of a workout. 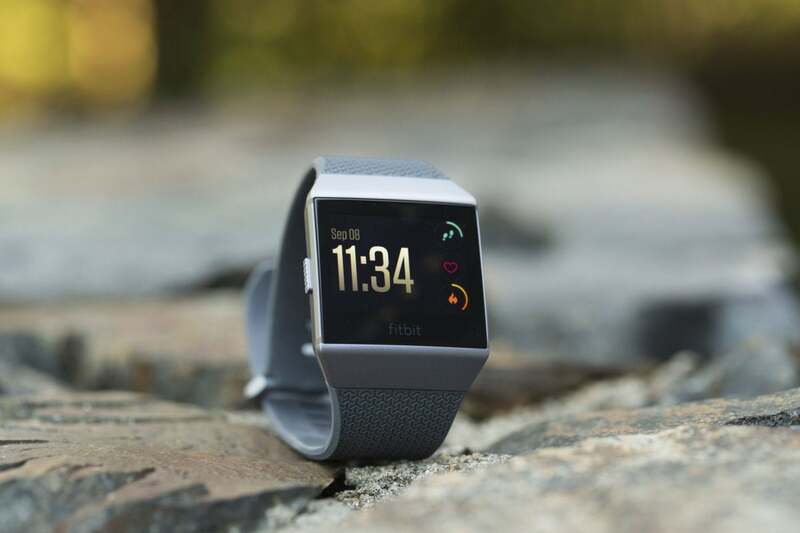 The Ionic is Fitbit’s most advanced device, integrating all its activity tracking features along with (sadly) a rather underwhelming set of smartwatch features. The Ionic is also expensive at $269.95. The Fitbit Ionic is a great exercise tracker. But on the upside, I like how the Ionic tracks my heart rate and calories during specific types of workouts; its inclusion of GPS to draw route maps during runs and hikes; and its advanced sleep tracking, which identifies likely periods of REM sleep. The Ionic’s display is bright, and its interface is relatively intuitive. And I love seeing how my heart rate tracks over the course of a varied gym workout. If you’re over 40, there’s a good chance you need reading glasses. And if you need reading glasses, there’s a good chance you often misplace your reading glasses. Or you leave them at home. But what if you could have a pair of glasses that’s thinner than two credit cards? You could attach the glasses to your phone case, and never go reader-less again. That’s ThinOptics. As you’ll notice from the photo above, the glasses don’t have arms to rest on your ears. Instead, you clip them directly on the bridge of your nose, and somehow, miraculously, they stay there. For this, you can thank a super-flexible titanium alloy nose bridge. Working in tandem with “independent suspension” nose pads, the bridge helps the glasses clamp on tight. ThinOptics are comfortable too. 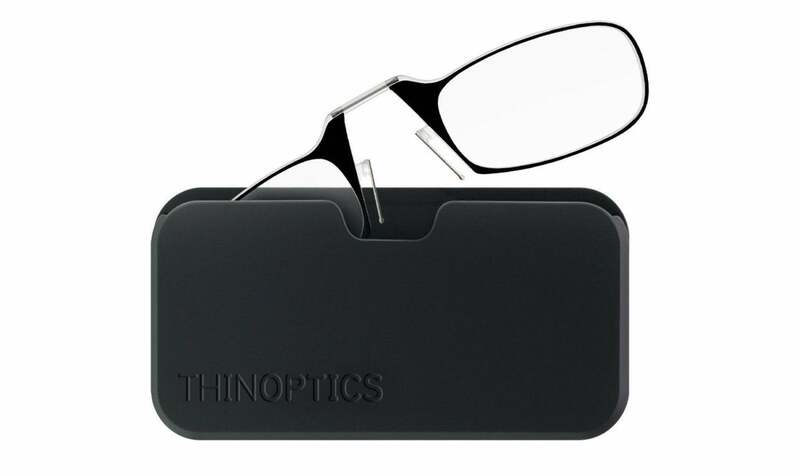 ThinOptics come in four strengths (1.00, 1.50, 2.00 and 2.50), and start super-cheap: $11.82 for black frames and a “universal pod case” that adheres to your existing phone case. You can also buy more artsy frames in wild colors and patterns, or opt for frames that come with an iPhone case that integrates a ThinOptics pod directly into the plastic. Personally, I like the universal pod case. I don’t even attach to my phone. I just toss it in my front pocket, and I’m good to go. 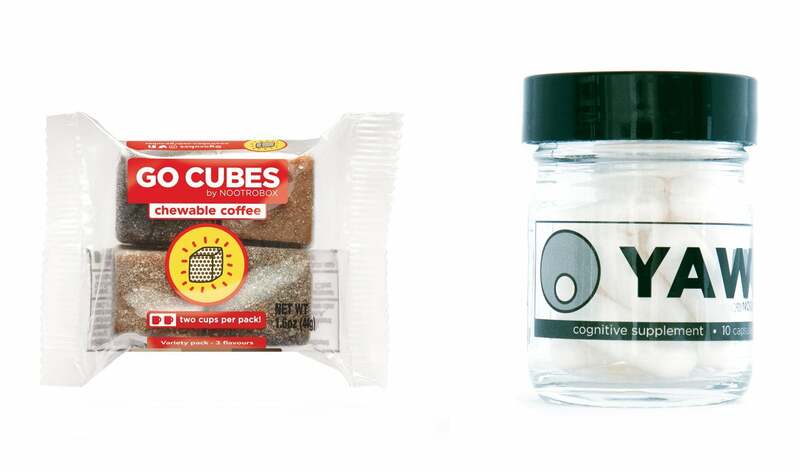 First we have GO CUBES: “chewable coffee” cubes that contain 50mg of caffeine, about the equivalent of a half cup of coffee. I enjoy the consistency—it’s gummy like a Brach’s orange slice—but the actual taste is simultaneously too sweet and too bitter, and altogether challenging. That said... I love the cubes’ portability factor, and a single cube is just the right amount of caffeine before a workout. GO CUBES scream “quirky Christmas gift” for your adventuresome friends, and also include Theanine, which is celebrated to reduce stress. On the other side of biohacking continuum we have YAWN. A single $15 bottle includes 10 pills designed for better sleep. The YAWN “nootropic stack” includes Melatonin, Magnesium Glycinate, and Glycine to reduce the time it takes to fall asleep, and improve overall sleep quality. Or so goes popular nootropic dogma. Does any of this stuff work? I can’t testify that it absolutely does. That said, I have horrible insomnia. I’ve invested time in researching these supplements, as well as money in buying them, and I do appreciate that YAWN includes all three ingredients in a single pill. When you find yourself averaging under six hours of sleep a night, you’ll try anything. Flossing is a chore. Some would even have us believe it’s a money-making scam perpetrated by Big Floss. Aside from keeping unsightly food particles out of our teeth gaps (gross), it's unclear whether we even need to floss. But if you want to floss but hate flossing, or even find flossing difficult, Flossolution may be an answer. 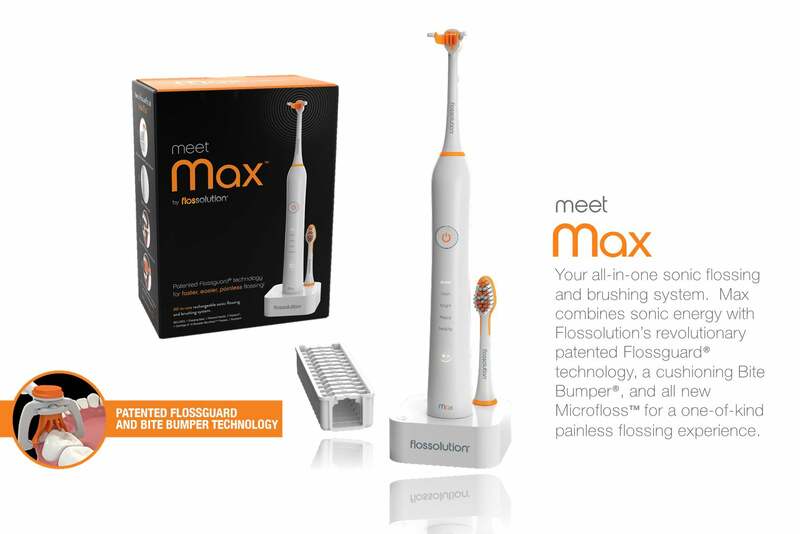 Flossolution is a two-in-one electric tooth brush and flosser. The toothbrush head is similar to what you’ll find in a Philips or Oral-B unit, but the main attraction is the “flossarm” flossing attachment. The flossarm tip is strung with a surprisingly durable length of dental floss that has never broken on me, miraculously (I have essentially no space between my teeth, and most traditional flosses give up on me). The Max package ($100) comes with 14 floss cartridges, and each is reusable for at least five or six flossings. Or so I’ve found. I find it incredibly easy to reach all my teeth gaps with the flossarm, solving a major flossing pain point, and the tip’s “bite bumper” protects your teeth when the tool is in your mouth. Now, if you want to go low-tech with Flossolution, you can opt for Flossolution Mini Flosse, a non-electric tool that comes with 10 floss cartridges. 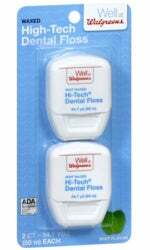 And if you want to give someone a truly kitschy flossing gift, I recommend Walgreens Hi-Tech Dental Floss. I have no idea what makes it high-tech, but the name is good for a laugh, and it’s actually really solid floss. 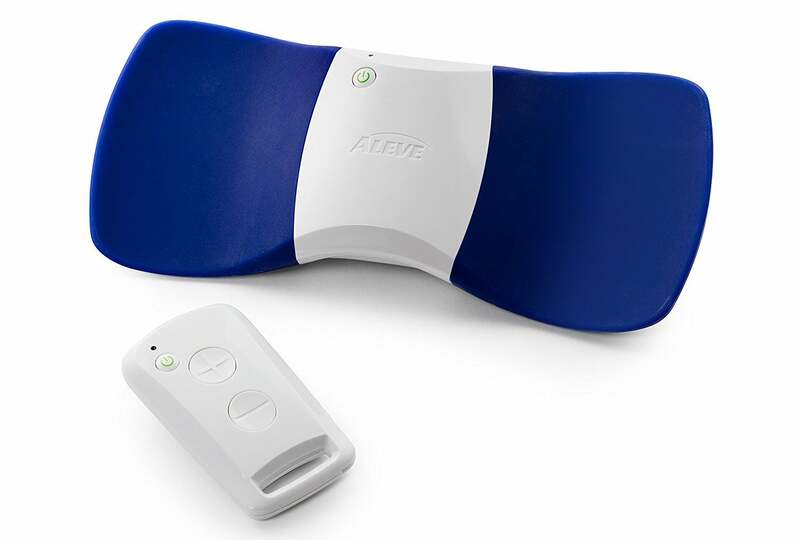 A TENS device may not be a “fun” gift, but it could be much-appreciated by someone with chronic back pain. TENS—which stands for Transcutaneous Electrical Nerve Stimulation—sends a low-voltage current through the nerve fibers where we experience pain, providing relief for many (you can read about how it works here). I’ve had success with two very consumer-friendly TENS units: Aleve Direct Therapy and iTENS. Just know that people with pacemakers and other implanted devices can’t use TENS. 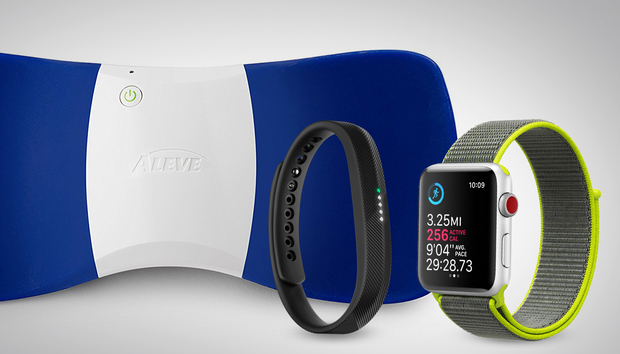 Aleve Direct Therapy is a great entry-level TENS device, but it’s quite thick, and is really only appropriate for one’s lower back. The Aleve unit is relatively big and bulky, but it’s just $50 on Amazon right now, and it doesn’t require an app. You attach it to your lower back with reusable gel pads, and then adjust voltage across 15 stimulation levels with a remote control. Aleve Direct Therapy runs on AAA batteries, and promises 120 30-minute sessions before you need a battery swap. If you’re looking for a truly high-tech approach, consider iTENS, which is even smaller and more discreet than Aleve Direct Therapy. Unlike the Aleve device, which is three-quarters of an inch thick, the iTENS disc is a quarter-inch thick, and can comfortably be placed on locations other than the lower back. It also comes in two “wing” sizes to accommodate different body parts. The iTENS unit comes in small and large sizes. You can comfortably place it anywhere on your body, and control TENS stimulation with an Android or iOS app. iTENS runs off a built-in rechargeable battery, and the TENS stimulation is adjusted with a mobile app. The app gives the user a fine degree of control over therapy duration and intensity, and even the actual waveforms the device sends through one’s nerves. iTENS is the more advanced device, but it also costs almost twice as much as Aleve’s solution. Because I love analog watches so much, it’s difficult for me to get behind smartwatches—especially ones with square faces like the Apple Watch. But there’s no denying that the Apple Watch Series 3 is a big leap forward. My Watch-wearing friends love the Series 3, and Apple’s platform really does have something to offer people concerned about their health and fitness. The new Heart Rate app shows way more data than before. 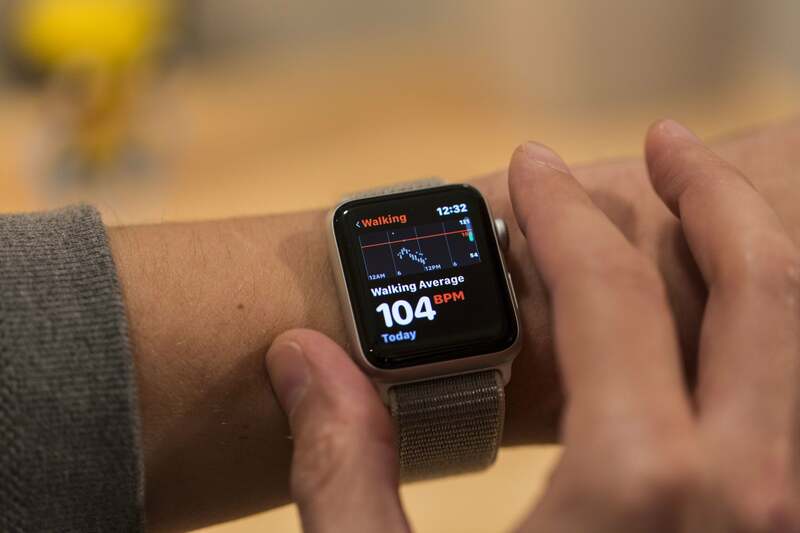 Apple didn’t upgrade its heart rate sensor for Series 3, but the company is nonetheless putting a lot focus on the heart health of its users. Most notably, Apple has partnered with Stanford Research to release a Heart Study App that uses the watch’s heart rate sensor to collect data on irregular heart rhythms, a possible sign of atrial fibrillation. The app will notify users if it finds any irregularities. The Heart Study App aside, Apple Watch Series 3 has a good set of built-in functions for exercise buffs. The Heart Rate app is packed with useful data, and the Workout app has built-in music controls. To this extent, the Series 3 may be a better workout companion than the Fitbit Ionic—assuming the user is an iPhone user already.